What a strange set of circumstances, an absolute anomaly in the history of the Catholic Church. 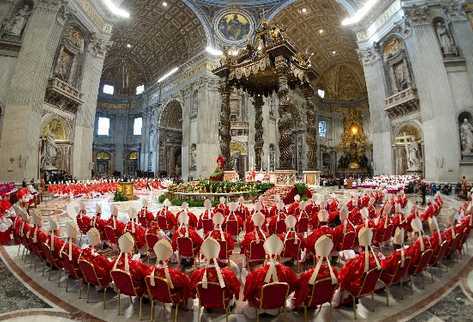 A Pope emeritus following the Cardenal Conclave in which his successor will be chosen. On TV. Almost a fortnight ago, Pope Benedict XVI started his season of rest and contemplation away from Rome. The retiring Pope can currently be found at the Castel Gandolfo, the pontifical summer residence, where he has been since his resignation came into effect on the 28th of February at 8pm.